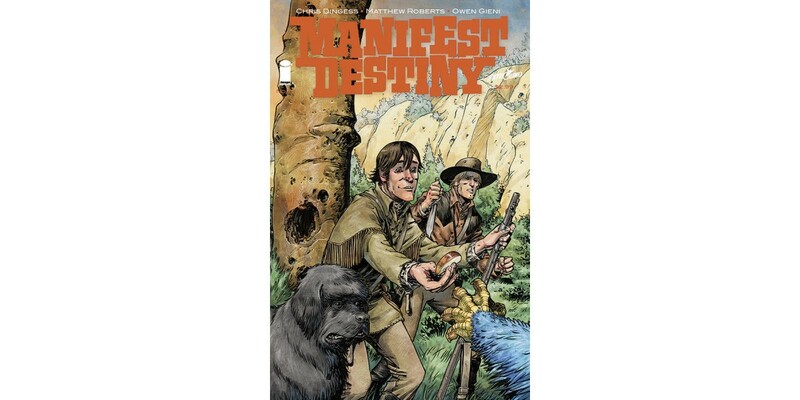 A hit historical fantasy adventure series from Skybound/Image, MANIFEST DESTINY by Chris Dingess and Matthew Roberts sets sail for all-new adventures in its third story arc. Readers new and old will want to hop on board for the journey as the crew explores the uncharted American plains and encounters all manner of monstrous horrors. Dingess hinted: "With this arc, we're hoping to provide an answer or two regarding the bigger narrative of Lewis and Clark's journey, while making readers ask a whole new slew of questions." MANIFEST DESTINY #13 arrives in stores on 1/21 and can be pre-ordered using Diamond Code NOV140663.